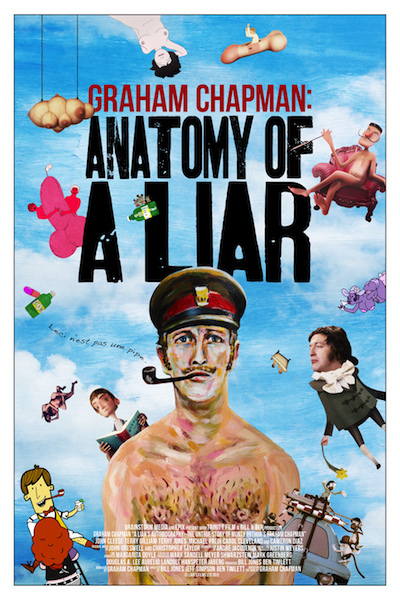 “Graham Chapman – Anatomy of a Liar” tells the extraordinary story behind an extraordinary film. “A Liar’s Autobiography” is a new movie based on the memoir of the late Monty Python member, Graham Chapman, who died in 1989. The film brings the comedy legend to life through animation, drawing on recently discovered audio tapes Chapman made of the book. Here, we see how the project came together using a range of animation styles, and meet the creative minds tasked with bringing Chapman’s bizarre tales to the screen. But there’s also a look at Chapman himself, as friends, colleagues and fellow Pythons consider the truth behind the ‘lies’ portrayed in the film, sharing their own memories of the troubled comic genius. Introduced by Terry Jones.